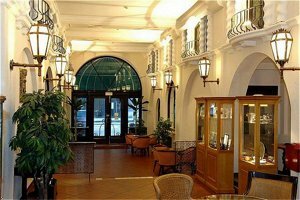 Hotel des Colonies: for a memorable stay within the perfect comfort and tranquility of a 3-star hotel, which has been completely renovated with particular care for tradition in 2002. Guests receive a warm welcome, friendly and unpretentious hospitality coupled with caring attention throughout their stay, and we have updated our accommodations so as to fully satisfy your needs: 95 guest rooms, including 1 apartment and one junior suite, all of them thoroughly redesigned and equipped with fine furniture and expanded amenities. You will appreciate this tasteful combination of yesterday's charm and today's modern comfort in a romantic and private atmosphere.